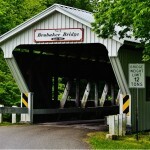 The Brubaker Bridge, built in 1887, can be found on Brubaker Road and crosses Sam’s Run Creek. 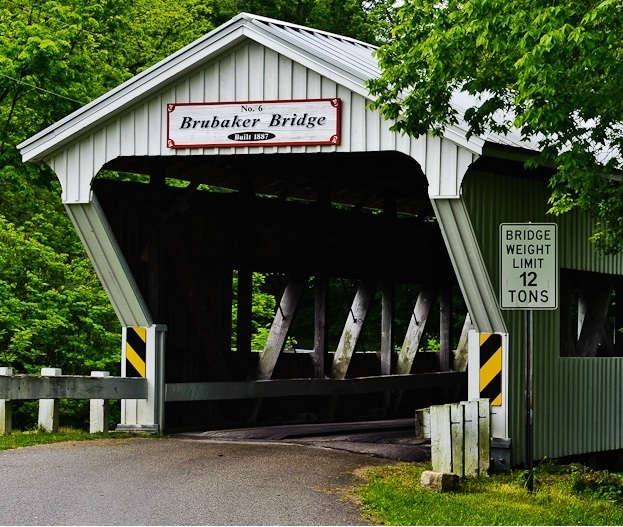 At almost 90 feet in length, the Brubaker Covered Bridge is one of seven remaining Child’s truss covered bridges left in the United States. This particular bridge has an open center panel. The Brubaker Bridge is unique because the upper portion of the sides of the bridge have been removed to allow light and a clear line of sight through the bend in the road past the structure. There are some accounts that claim that the bridge may be haunted. 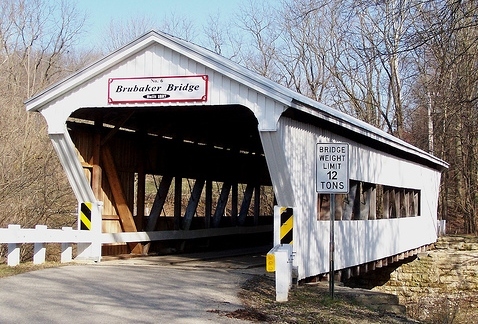 The Brubaker Bridge is listed in the National Register of Historic Places. 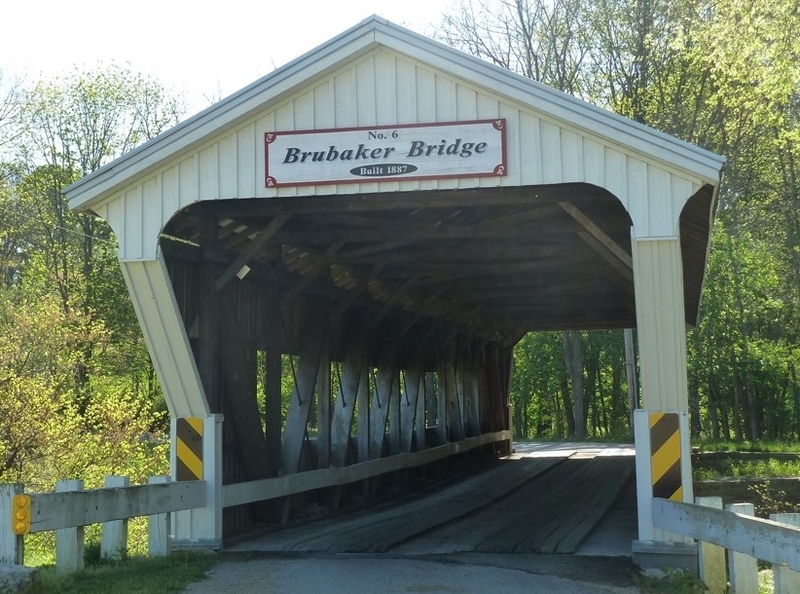 The Brubaker Covered Bridge can be found on Aukerman Creek/Brubaker Road, 1/4 mile northwest of the village of Gratis off of State Route 122, Preble County, Ohio.